Last weekend, I popped into The Quilt & Stitch Village for a browse and to see how my entries had performed in its three embroidery competitions. What joy, I’d won three prizes at the show! 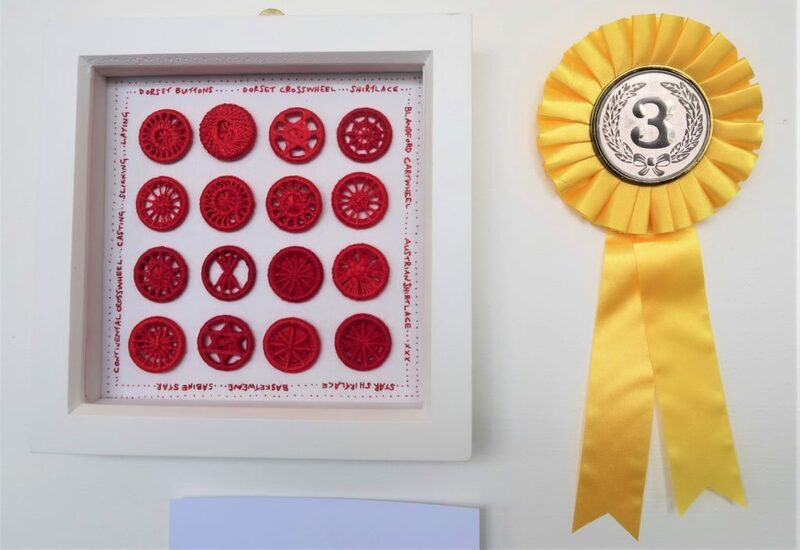 Third prize – Traditional Embroidery for ‘Dorset Button Study No. 2‘. 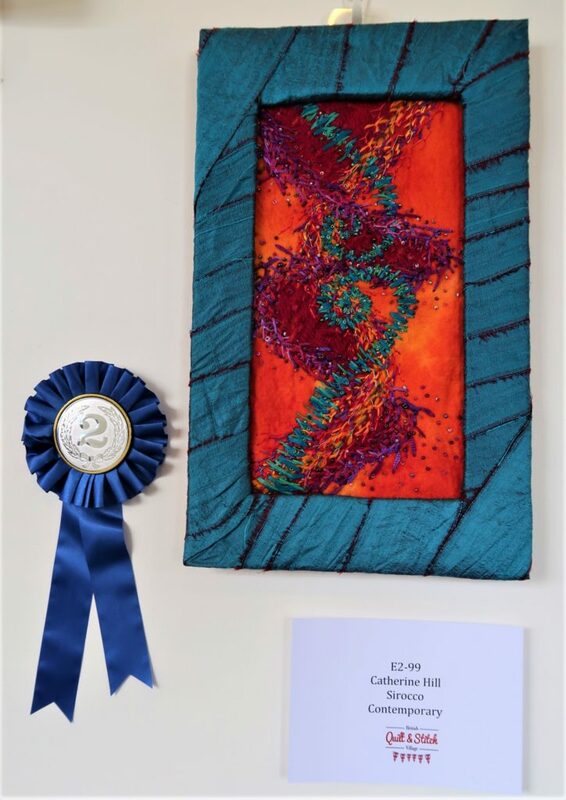 Second prize – Contemporary Embroidery for ‘Sirocco’ (made as part of my Embroiderers’ Guild Level 1 course). 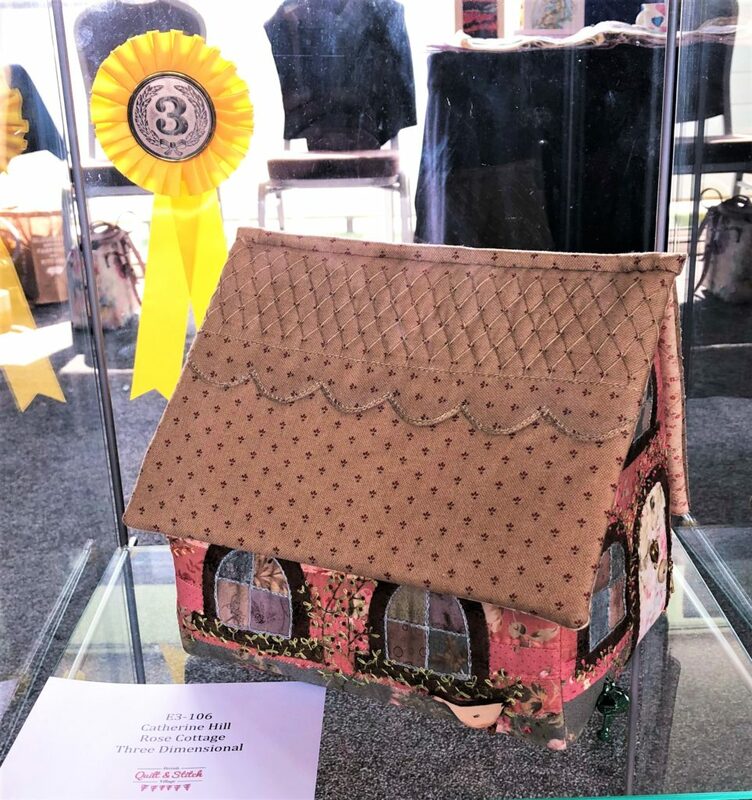 Third prize – 3D Embroidery for Rose Cottage. 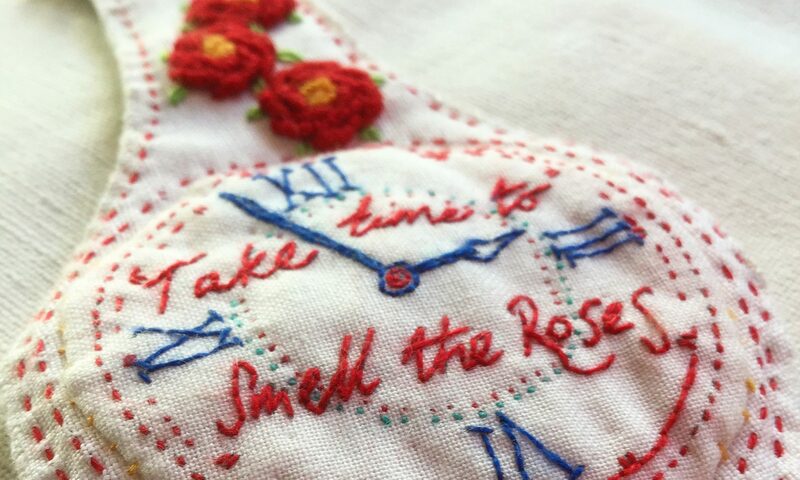 Third prize in the 3D Embroidery for Rose Cottage. I’m so happy and thrilled with the judges comments. There’s now three lovely rosettes on display in my sewing room.